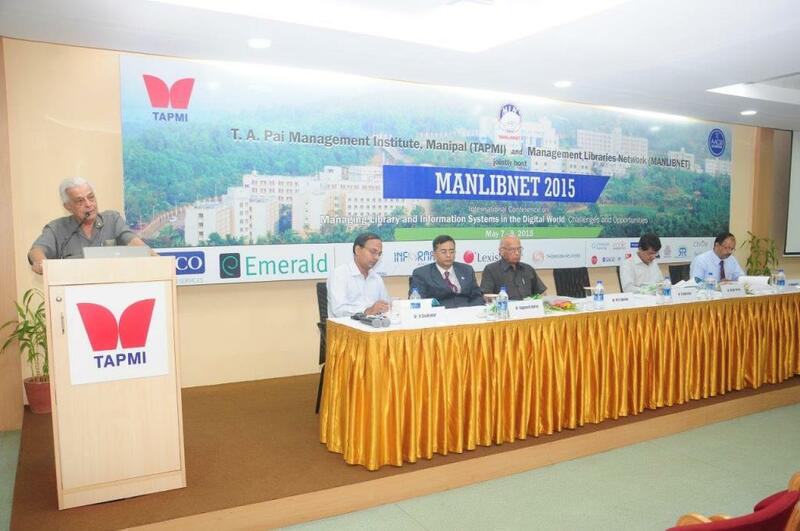 The 16th Management Libraries Network (ManLibNet) conference at TAPMI was inaugurated today 7th May 2015 and is scheduled for 3 days. 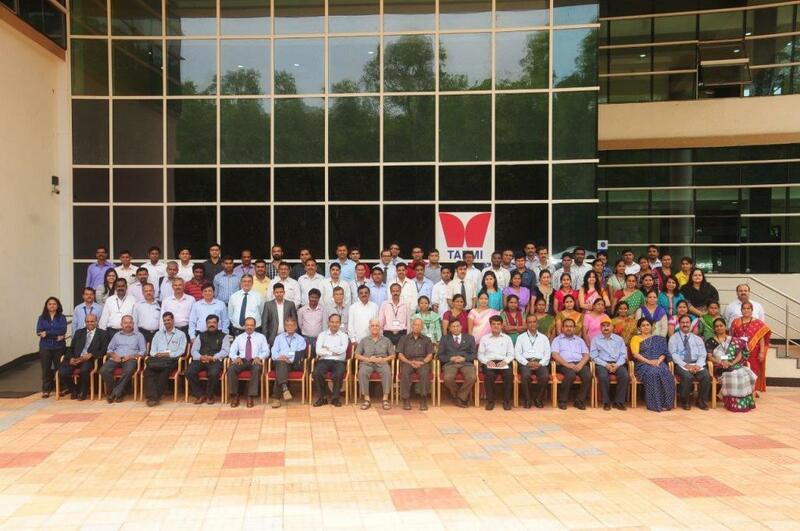 TAPMI is hosting this conference for the first time. The conference is entitled Managing Library and Information Systems in the Digital World: Challenges and Opportunities. The conference was inaugurated by lighting of the lamp followed by Invocation song. 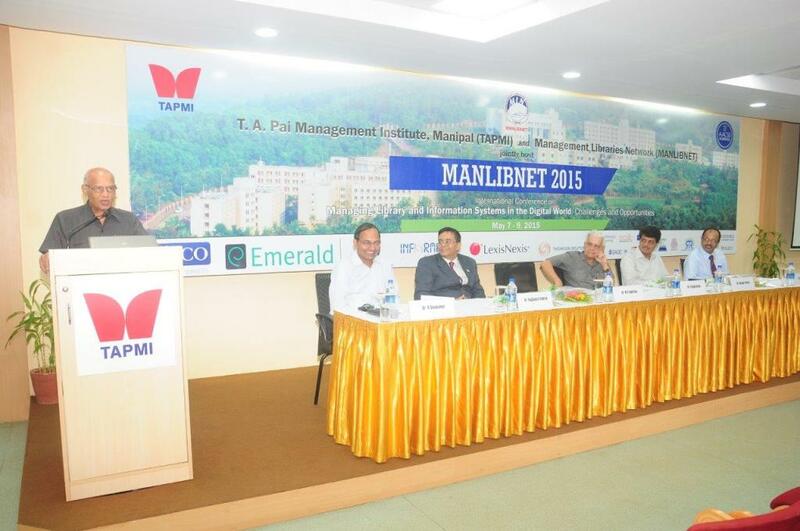 Dr. A. Sivakumar Chairman, Organizing Committee, MANLIBNET2015 and Professor, TAPMI, Manipal delivered the welcome address. The chief guest of the inaugural function was Dr. M.S. Valiathan. In his address, he recalled his graduation days of using the library. He stated that a library is a place of worship. He said that digitization has both positive and negative effects. The positive effect is that it has reached many and the negative aspect is that most people are accessing through internet and not physically visiting the library. He went to say that knowledge should be free and should be accessible to all. Dr. Shantharam Trustee TAPMI Trust released a compendium of papers to be presented at the conference. 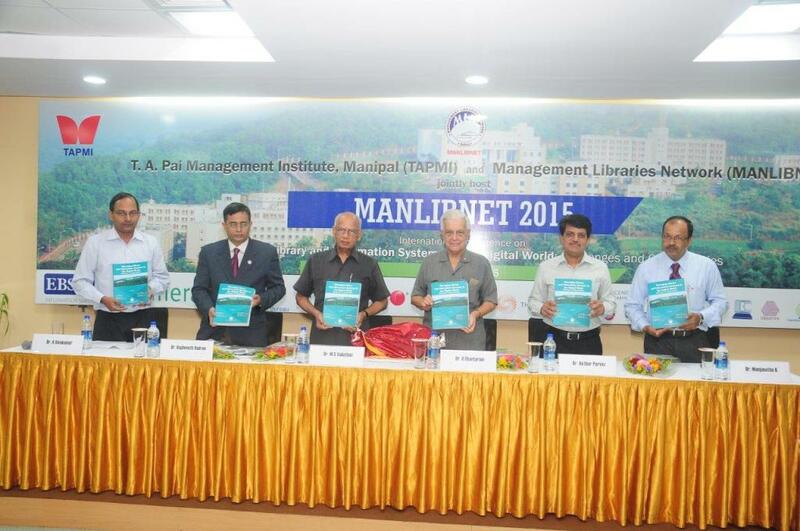 Dr.Parvez Akhtar Chief Librarian IIM Indore spoke about the how ManLibNet as a network was born and the activities that the network undertakes. Dr. Manjunath the Chief Librarian of TAPMI and the Local Organizing Secretary of the Conference proposed the vote of thanks. 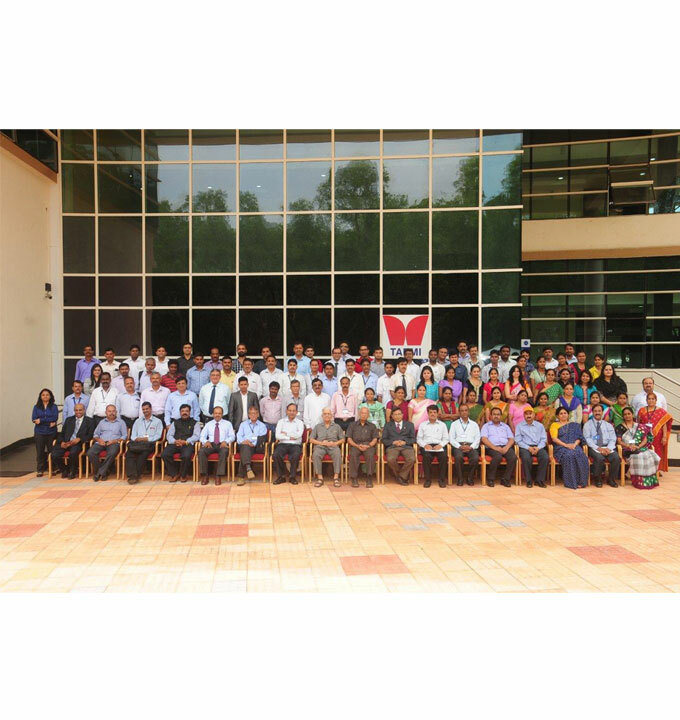 Conference delegates included librarians of leading institutes like IIM. 10 sessions have been planned across these 3 days consisting of keynote speeches, invited talks, product presentation by knowledge resource providers and paper presentations. More than 75 papers are scheduled to be presented covering the 10 themes across sessions.The themes have been modeled on the service-marketing framework covering aspects like managing infrastructure, technology and people. 22 sponsors have been kind enough to contribute to the conference. The deliberations in the conference are expected to provide new ideas to library professionals in managing libraries in the digital age.